Ahhh vulnerability, the thing that stops people taking risks that need to be taken. 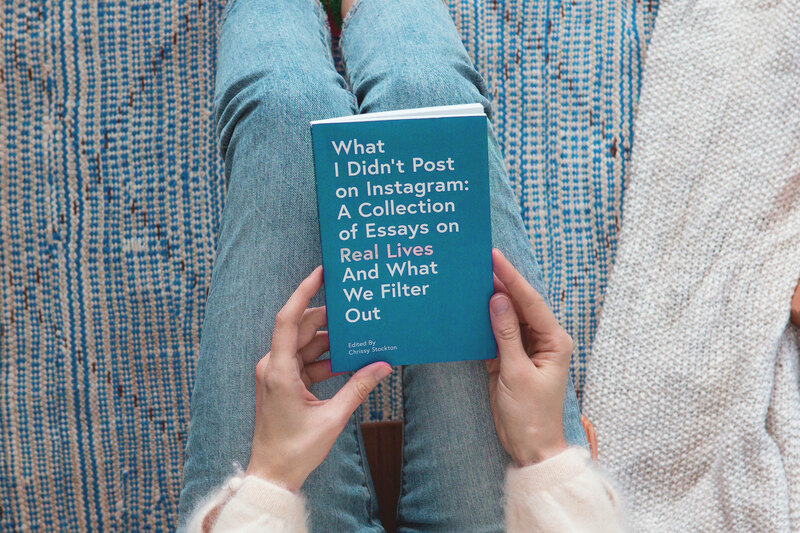 We live in a materialistic world, that’s evident with social media, but is playing it safe really helping your brand grow? Short answer, no. Being real is what will break the barrier between you as a brand and your audience as a buyer. Understanding how to build solid relationships through connection is a fundamental key to marketing your brand effectively and being relatable. We all have the ability to shape our brands the way we want it to be seen, in contrast, a lot of the time that brand is shaped in a certain way because we feel it’s what our target market wants to see. The real thing is, how do you know what they want to see when everyone is so damn different? What we might like for instance would differ completely to the next person, but that doesn’t mean we have to like and agree on the same things. Being cautious of putting out material because you think it won’t relate is putting an unnecessary barrier up and blocking your potential. A brand should have a personality, and if the material is in line with that personality, put it out and measure it. Get personal, because personal is relatable. Whether you’re a sole trader or SME, people are people regardless of the business side, so start thinking like a human and your brand will not only nail its target market, but you’ll find the people who love and relate to the things your brand stands for. We see people blasting out content and wanting it to go viral, but have a look around, the content that goes viral is usually a really personal story, people expressing their vulnerability, and that’s because people relate to it on a personal level. When brands blanket communicate, people tune out because nothing is connecting with them on that personal level. Our choices are in some way or another relatable to the way we feel. Creating content, products and even sharing our values, helps us from a branding perspective to establish an emotional connection with the right audience for our brands. Being open and transparent breaks down those walls and helps to establish solid connections. It’s not about what someone else is doing, it’s about what you do differently. Get creative, you can even find that a negative can be turned into a positive. Take Avis Car Rental, for instance, in the 60’s they were trying to figure out a way to brand themselves to their audience. 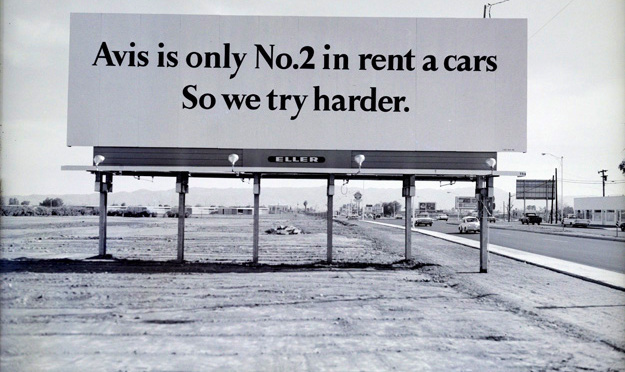 They were always coming in at number 2, so they used it to their advantage and used the tagline ‘we try harder’. Clever right? (read more here). The point is, is that the idea can be simple, your differentiation may be something so obvious, you just need to spin the perspective (read our last blog ‘Why being different matters‘ here). Don’t be afraid to take a chance on something because you’re afraid of what others will think. Side note: this concept was used for over 50 years. Good things take time, so it’s important not to expect overnight success. Pam Moore stated that it takes 5-7 brand impressions before someone remembers your brand (Lucidpress). Just like a good diet plan, a quick fix isn’t the key. It takes doing the same thing well over and over before you start to see results. Track and measure and watch what works and what doesn’t and if you need to change something, do it bit by bit so you know what works and what doesn’t. There is a hell of a lot of people in this world of ours, don’t change your ways for a handful of people. Stay true to what the brand stands for and always work to be as authentic as possible, that way you’ll always know who the brand is, what it stands for and how to effectively communicate. It’s important to keep the same brand messages going out in order for people to familiarise themselves with it. Keep track of who is watching and put the right marketing tools in place to keep track. If you haven’t seen it, watch Brené Brown’s TED talk on The Power of Vulnerability, it’s a goodie. Until then, don’t be afraid to go out and tackle the challenging things head on. Get real with your audience and talk about the screw ups as well as the successes, because the screw-ups are more relatable than the successes. So, wear your heart on your sleeve, it can really help to build a deeper connection.